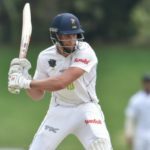 Theunis de Bruyn was named Player of the Match after the Tshwane Spartans’ one-run victory against the Paarl Rocks on Sunday. 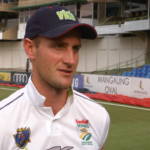 Theunis de Bruyn’s 147 on day three against the Cobras is our early pick for Play of the Day. 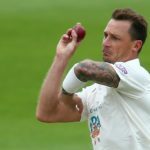 Dale Steyn’s form graph continued its upward trend when he took 4-48 off 25 overs for Hampshire in the County Championship. The Titans, Ram Slam T20 and Sunfoil four-day champions, have signed a ‘youth and experience’ squad to carry them forward next season. Australia’s battery of bowlers had a productive outing on day one of their warm-up match as they bowled out South Africa A for 220 in Benoni. 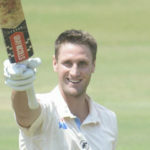 An aggressive 190 from Theunis de Bruyn helped the Knights take command of their Sunfoil match against the Dolphins in Bloemfontein. Theunis de Bruyn is on high alert for a place in the third and final Test against India, which starts on Wednesday. Watch the Knights beat the Warriors by eight wickets at St George’s Park on Friday. 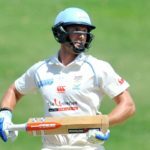 Theunis de Bruyn and David Miller smashed half-centuries to hand the Knights an eight-wicket win over the Warriors in Port Elizabeth on Friday. 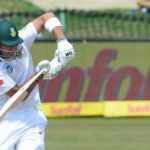 Untroubled and untested, Dean Elgar led the way as the Proteas laid a 298-1 foundation against Bangladesh in the first Test. 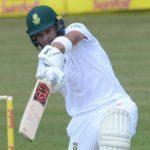 An unnecessary run-out robbed Aiden Markram of a well-deserved hundred on debut in the first Test against Bangladesh. 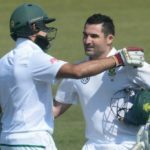 An opening partnership of 99 by Dean Elgar and Aiden Markram set a solid platform for the Proteas at lunch on day one of the Test in Potchefstroom. 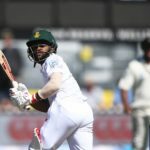 South Africa lost the toss and were sent in to bat in the first Test against Bangladesh in Potchefstroom. 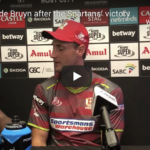 Theunis de Bruyn says the Knights were the better team, as the Cobras salvaged a draw through tons from Hashim Amla, Justin Ontong and Aviwe Mgijima. 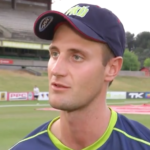 Watch footage of Theunis de Bruyn dismantling the Cobras in their Sunfoil Series clash.